The AR market is a crowded one. There’s literally thousands of manufacturers of America’s Favorite Rifle, and a whole universe of companies fabricating aftermarket accessories. So, appropriately, my first-ever test and evaluation (T&E) firearm, is an AR-pattern rifle. Thankfully, the ban was repealed in 2004 after studies proved it was ineffective at stopping crime, and the NRA and other gun-rights organizations undertook an aggressive campaign to let the law’s “sunset provision” continue unabated. The lifting of the ban led to an explosion in the AR market. 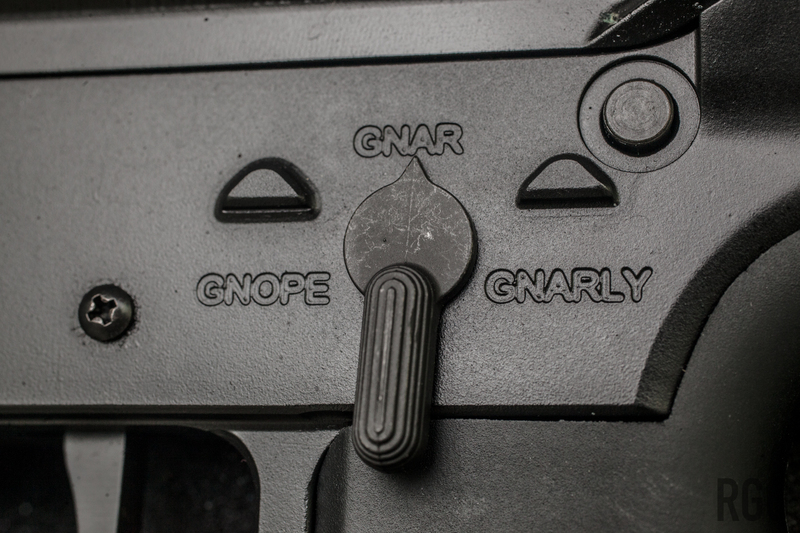 Though Colt owns the trademark for “AR-15”, the design is public domain, and plenty of companies have taken advantage of that, including a new entrant to the market - GNAR. Loved your site. Maybe an opportunity to send you a test and evaluate model to bump out a few rounds? Wow. I thought I was gonna have to stand in line with 300000 other gun bloggers and have to beg for this sort of thing. So here’s GNAR, sending me a rifle. Wow. After a little back and forth, they sent me down a T&E copy of one of their in-house designs, the Blackie Lawless, chambered in 5.56. Yes, “Blackie Lawless”. Any company cranking out a rifle named after the lead singer of W.A.S.P. has to be up to something. Their own in-house designs include cheeky names like “Splatterday Night Fever”, “Fat Dork Earl”, and “Gray Green Meanie”, if that’s any indication. That being said, while GNAR is more than thrilled if you buy one of their in-house designs, the one thing that they emphasize in their marketing (other than punk rock girls posing with their rifles…) is their Gnarchitecture configurator. According to GNAR, the key difference between theirs and other configurators is the ability to specify your own unique mix of color schemes, along with your own specific mix of quality components. Which turns that $500 Ruger into a $1500 rifle in no time at all. GNAR promises to take a lot of the guesswork out of that customization process, and save you a couple of bucks as well. Most of their pre-configured designs clock in at around $1000. 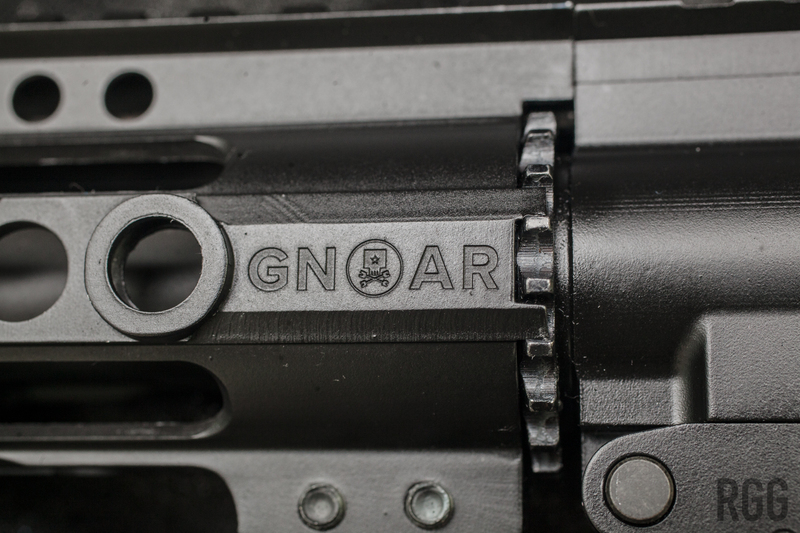 Through their network of OEM manufacturers, GNAR sources top-quality components, such as a billet lower receiver, a single-stage trigger, a 4150 Parkerized chrome-molybdenum (chromoly or CrMo) barrel, a lightweight handguard, and Magpul BUIS back-up sights. Of course, some of my more astute readers will note that GNAR doesn’t exactly produce the rifles, they assemble them from components. And yes, you can do it yourself if you want. GNAR emphasizes that their rifles aren’t necessarily targeted at the type of people who build ARs, but more at the people who want a quality gun that shoots great out of the box, with minimal work needed, i.e. a lot of “regular people”. In their defense, I know many people who don’t have the skills or time to build, and just want just that - a good gun. Also, a lot of people don’t have the space to set up a proper workbench, paint booth, and so forth. Think urban. Well, is the “Blackie Lawless” a good gun? Shut up, Regular Guy, and get to the testing! Some further communication with Judson to hammer out the shipping details, and the rifle was on the way. For the novices, you cannot have a firearm shipped to your door in the US, unless it’s being returned from a repair job, or if you are an licensed gun dealer. At this time, I’m not a licensed firearms dealer, so I had to get the rifle shipped to my favorite local shop, Johnson Firearms. Arriving just after New Years Weekend, the GNAR-15 Blackie Lawless arrived successfully in it’s trademark lockable shipping case. Yes, the rifle’s carrying case appears to be nothing more than something that contains a musical instrument. Operational security as it were. While sometimes it’s unavoidable, one thing I do advise people getting into guns is that they should exercise discretion, especially in an urban environment. Case in point, I keep one of my rifles in a tennis racket bag when I transport it. Sorry about the fingerprints. After the standard FDLE background check processed, I checked the rifle for basic functionality at Johnson’s (pro tip - check your firearm’s condition before leaving the store - it makes returns easier…), locked it back up in it’s case, and proceeded home. Full disclosure - GNAR supplied me with a pretty nifty T-Shirt inside the case as well. Once I got back to RGG Home Base, I uncased the rifle, once again, and gave it a quick once over. Initial impression - it’s light. It weighs 5lbs 14oz as compared to my Colt LE6920, which clocks in at 7lbs 10oz. T7075 billet aluminum GNAR-15 lower. GNAR Single Stage Drop-In Trigger with a 4.25 lb pull. 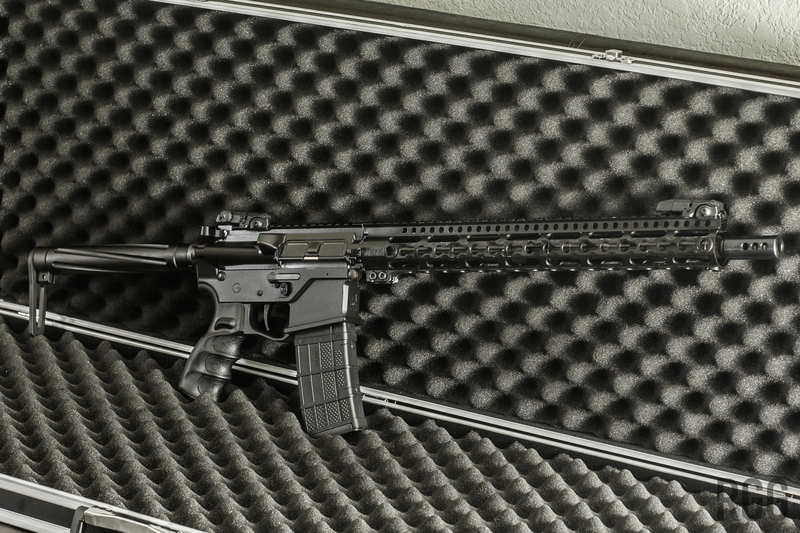 16” .223 Wylde carbine-length parkerized 415O CrMo barrel with a carbine-length gas system. Note - the production versions ship with a 16” 5.56mm mid-length gas system barrel. Both barrels will reliably feed .223 and 5.56mm ammunition. Guntec Airlite fixed stock/buffer/spring set. Standard weight buffer. It’s very minimal. If you put a can on this rifle, toss in an H2 buffer and you’re good to go. 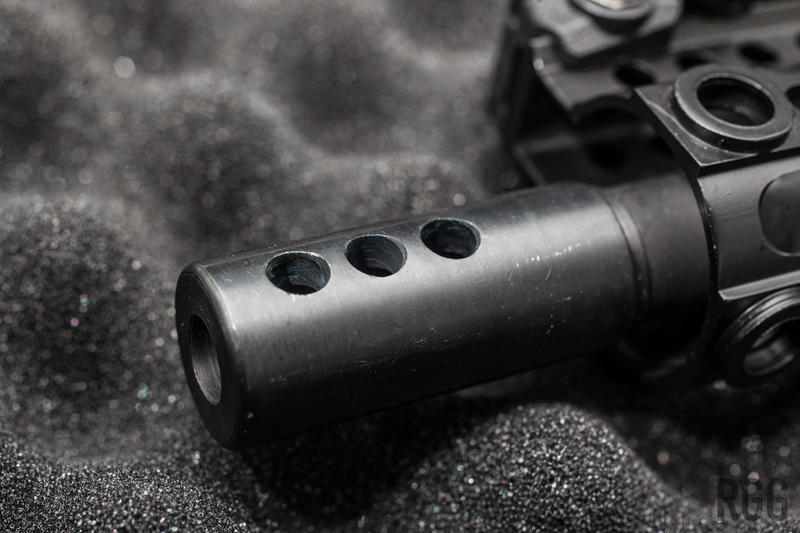 Triple-ported muzzle brake. It mitigates recoil but it will make the firearm louder. 9.6 oz 15-inch “GNARRAIL”. It’s pretty light. 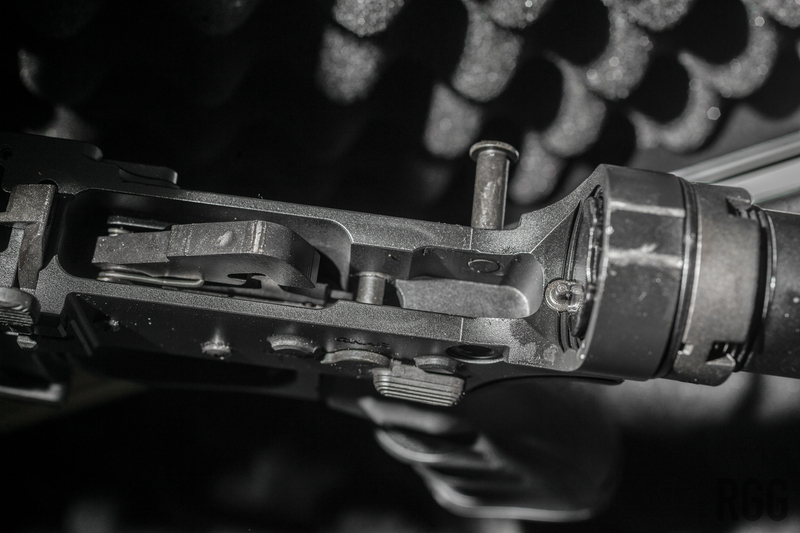 Magpul BUIS polymer flip-up sights. Before I took it to the range, I ran it through some dry-firing (after clearing it and triple-checking for safety of course) drills to get a feel for it. Like I said above, it’s really light as compared to what I’m used to. My Colt is definitely heavier, even without a can. The lower receiver is forged, which means two roughly shaped halves of hot aluminum are hammered together and are cleaned up with CNC machines later. There’s more weight left over in that procedure. 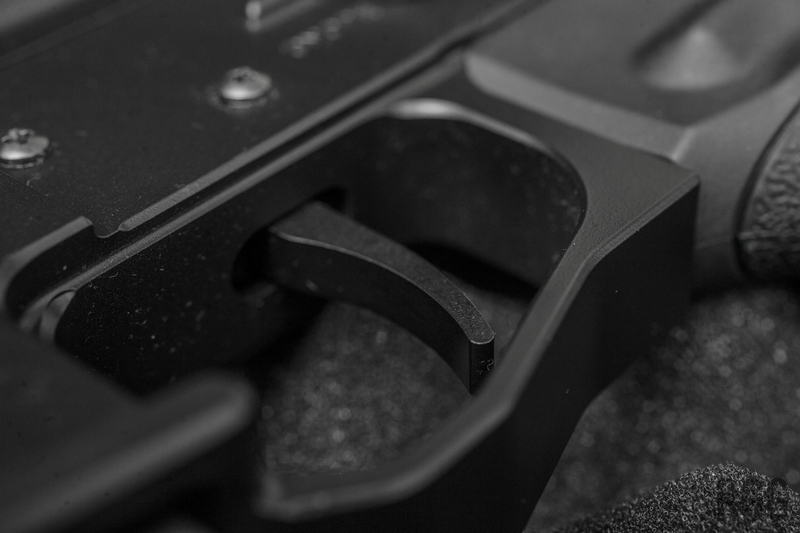 The Blackie’s lower receiver is “billet”, which means a CNC machine mills an entire block of aluminum into a specific shape. Forged lowers are generally more utilitarian and heavier, and billet lowers are lighter and usually have better aesthetics. Durability these days is about the same. Also, the Blackie ships with a fixed stock. All my other ARs, and even my AK, have adjustable stocks. The upside is that you can customize the fit to the shooter, in a way. The downside is that often, rifles with adjustable stocks have to be stored collapsed, so there’s an extra step added if one has to deploy it in an emergency. With a fixed stock, you just pick up the rifle, line up on your target, and bang. Of course, you have to practice your grip and cheek weld techniques a little more. If it really bugs you, you can remove the Airlite stock and put on an adjustable stock of your choice. 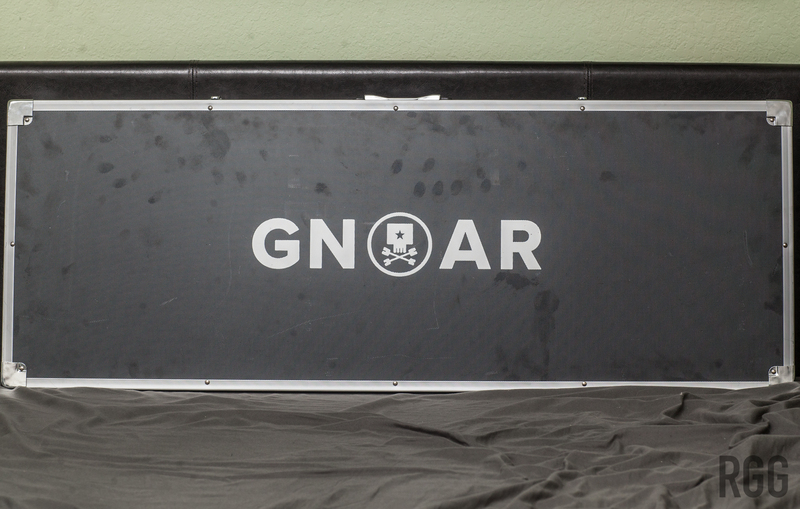 Or through GNAR’s configurator, you can spec your own Blackie with one of their other stocks. Up to you. The GNARRAIL is pretty stylish. There’s something really cool about having a full-length rail on a rifle. In my mind, the aesthetics give the gun a “techy” look. The Blackie ships with a 15 inch rail, with Keymod attachment points on the sides and bottom, with a standard Picatinny (MIL-STD-1913) rail on top. Note, if you plan on mounting certain accessories like a bipod, you may need a Keymod adapter. My main “learning curve” was with the weight, and the stock. Something I’m not used to. My other rifles are all made from forged lowers and uppers, and have adjustable stocks. Just having a rifle this light and set up “this way and that’s it” was new to me. From a pure learning experience, I’d actually recommend this to a novice shooter. 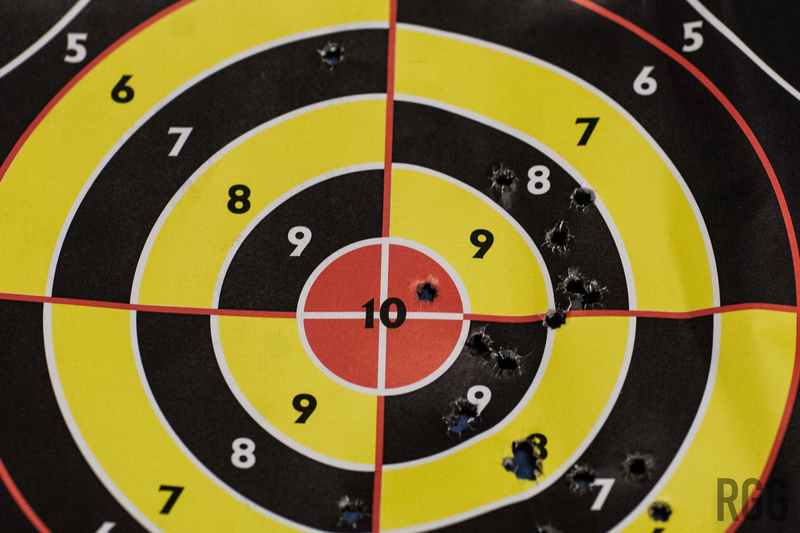 There’s less things to fuss with, and the shooter can concentrate on technique. Also, if the excrement ever hits the air movement device, you might not have your $3000 LMWRCT Defense build with custom adjustable everything handy. All you may have is a rifle that’s set up one specific way. Trigger pull was as advertised. I don’t have a gauge, but I guesstimated by first dry-firing one of my ARs that sports a CMC Triggers single-stage flat trigger with a 3.5 pound pull, then by dry-firing my Colt LE6920 with it’s stock mil-spec trigger, which clocks in at around 5.5 pounds. Then I tested the Blackie - crisp and smooth, and the weight was somewhere in the middle. If GNAR says it’s 4.5 pounds, I’ll take their word for it. Unless someone wants to send me a Lyman. Inside, the rifle is what one would expect from a decent AR. 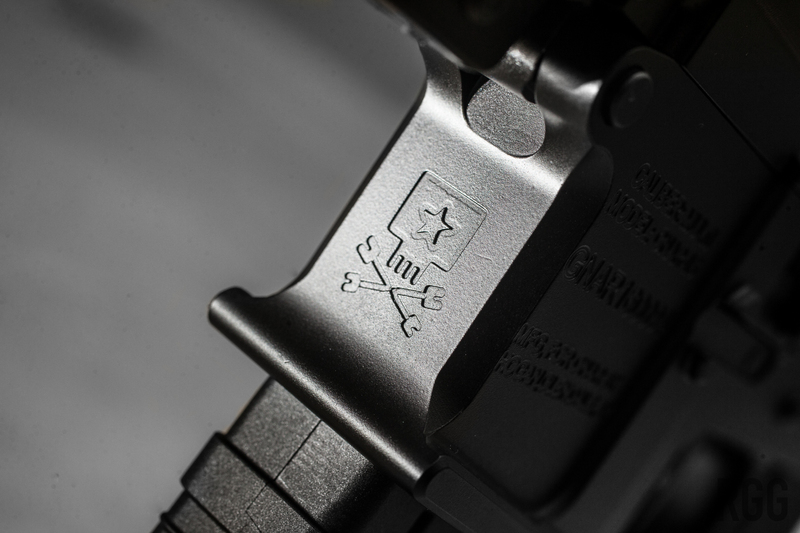 The bolt and bolt carrier are advertised as mil-spec. 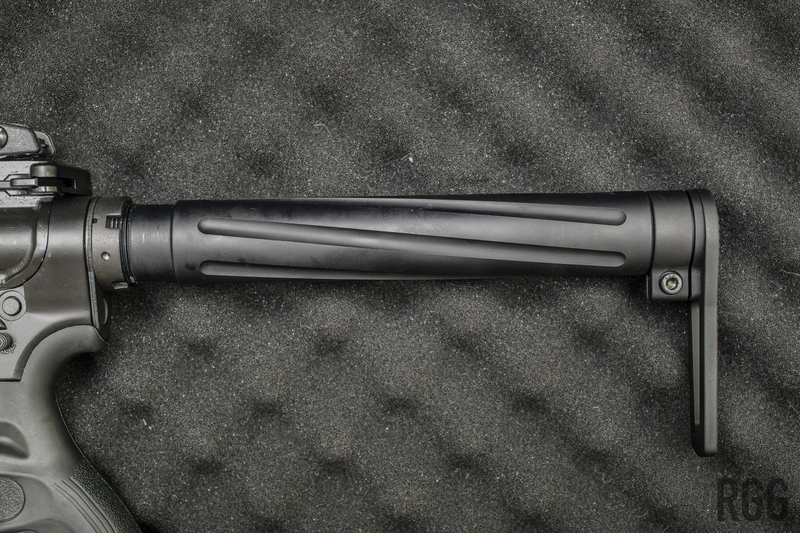 Popping it out revealed it to be your bog-standard M16 full-auto bolt carrier. The gas key (the little tube on top of the bolt carrier) is properly staked and set, which means the screws are secured by essentially bashing in the metal on the sides of them, so they don’t move. The bolt itself and the firing pin were normal. According to GNAR, the prior tester to me ran around 1000 rounds through the gun and I saw no undue wear on the bolt carrier or inner surface of the upper receiver. Oh, sidebar: Having a full-auto bolt carrier group does not mean your rifle magically turns into a machine gun. Converting an AR requires a few more components, some of which are technically restricted items. Anyways, the Blackie is pretty much up to spec for it’s price point. The components are robust enough, the fit and finish is fine, and the ergonomics are on point. So far, the GNAR product lives up to it’s claim of being an apt challenger to more expensive rifles. Ramblings about fit and finish, full-auto conversion and whatnot are fine, but I know most of my readers want to know how it actually performed. With that in mind, I grabbed some PMC X-TAC Match 77gr .223 OTM, and some MEN M193 German military surplus 5.56mm and headed up to Shoot Straight in Davie, Florida. I bought the Blackie, and my Colt LE6920 with can as a baseline comparison. Sorry about the relative lack of video quality, but my original intent was to film at my favorite outdoor range, Henry’s, but scheduling conflicts precluded the journey. Henry is cool about when I bring out my DSLR to film, but I wasn’t sure about Shoot Straight, so I just winged it with my GoPro. Oh, and that flash? It was some unburnt powder from the round. Nothing to do with the rifle itself. My first course of fire was with the PMC ammunition. It’s advertised as match-grade, so I figured it was apt for testing. I loaded up the included Lancer magazine with 30 rounds, charged the firearm, aimed on my improvised backpack rest, and fired my first string. Even with doubled-up earpro, I could tell it was loud. GNAR advertises that the brake will “Give the people next to you a tan… and a concussion…”, and that’s believable. While it doesn’t spit gouts of flame like some other brakes specifically designed to do so, there is a definite fireball and a very definite concussive blast. Recoil was pronounced. The light weight of the rifle and the minimalist nature of the Airlite stock mean that more impulse is transmitted back to the shooter. Is it unmanageable? No, not at all. All my other rifles are heavy and I usually run suppressed so there’s a lot of mass soaking up the boom. On the Blackie, not so much. But you get used to it. It’s a fair tradeoff for a lightweight build in my opinion. You could stuff it full of buffer tube gimmicks I suppose and maybe mitigate the recoil somewhat, but that kind of the defeats the idea of this rifle, which is, pick it up, shoot it, and hit targets accurately. On the accuracy side, the rifle will bring you to within 1MOA of whatever you aim it at, dependent on shooter skill of course. Since I ran this rifle “as-is” without a red-dot sight or a scope, I only had the use of the BUIS. Which is to say it was something I need to practice more with. Needless to say, the rifle is as accurate as I am, which means I can hit a man-sized target in what is most likely an incapacitating spot at 25 yards or so. Groupings with the PMC ammunition were consistent, with no rounds varying more than x inches off target. Sidebar - turn your red dot sights off and practice with your irons or back-up sights. I need to do it, and so should you. Iron sights might be all you have one day. For variety, I ran some of the German MEN M193 5.56mm ammunition through it. No issues there, accuracy is what you’d expect. Then I ran some American Eagle (Federal) M193 as well. No stoppages, groupings were as expected. My course of fire totaled about 200 rounds downrange. This was on top of the 1000 or so the prior tester did, and whatever the mileage was on the gun before this. 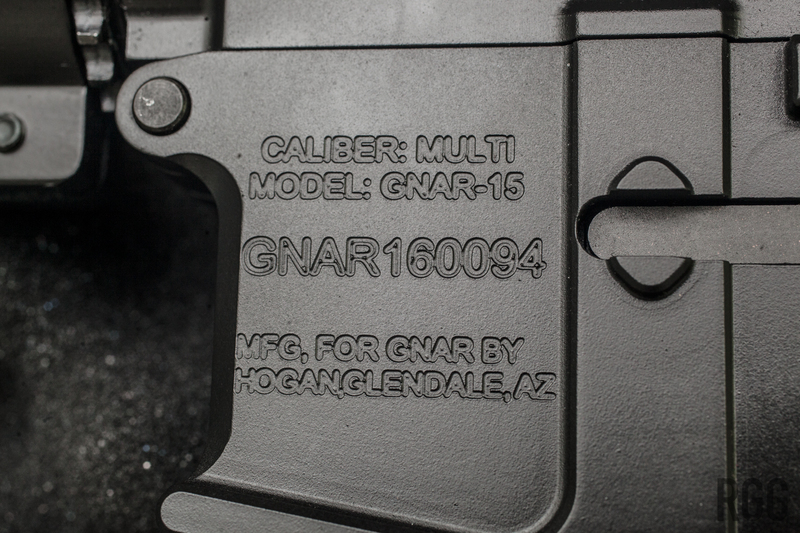 Right now, GNAR is an assembler and “final integrator” of quality AR-pattern rifles. Sourcing from their OEM partners, they kick out reliable and quality rifles at a reasonable price. I agree with their sentiment that the rifles are out-of-the-box ready, with no immediate upgrades needed. Yes, the rail attachment system begs for one to hang some lights, lasers, and sights off of it, but the rifle will shoot fine and is easy to master as-is. Specifically, I see the Blackie Lawless as a great minimalist starter rifle. If you’re looking for your first AR, but don’t want to deal with having to upgrade a cheaper rifle right away, this could be it. Plus you’ll get a warm fuzzy feeling from supporting a small business. The future looks bright for GNAR, with several new hush-hush (non-AR) projects on the horizon, most of which will spur the company to bring most, if not all their fabrication in-house, according to Judson. I’m hoping for some even more crazy innovations from the plucky outsider outfit from Louisville. Cost - the rifle’s fit, finish, and specs are on par with more expensive offerings from the major manufacturers. Out-of-the-box usability. You really don’t need to upgrade the rifle for it to perform. You can if you want to though. Looks. It’s pretty dang slick-looking all things being considered. Not really about the rifle itself, but GNAR’s Gnarchitecture configurator is a unique tool. Kit out your rifle as you will, and go crazy with the colors. It’s mass-market appeal, which is what will draw more Regular Guys and Girls into the fold. Reliability. No issues after a heavy course of fire. Weight. A lot of my ARs are heavy beasts, and it kind of turns off novice users. The Blackie is undeniably light. The fixed stock may take some getting used to. It’s not really a con, unless you are hidebound to adjustable stocks. Which you shouldn’t be. The recoil is a bit stout, if you are used to heavier AR-pattern rifles. This can be overcome with training and time, though. “Man up”, I guess? GNAR case’s locks are a little finicky. Seek further guidance, but I wouldn’t recommend this for safe storage, nor do I see it suitable for airline transport.